← Get a handle on it! A bit brassy?… You decide. So you thought Brass was the material of our grandparents hey? well by and large it was, hoisted to a central position in churches and family homes by a sneaking resemblance to Gold. Still, it does the job for me, and these knife hinges are being used in a way that shows them for what they are. Usually they would be recessed and mostly hidden, but we felt this piece could do with the extra visual texture of the Brass. It has a strong relationship with the yellow tones in this White Oak. 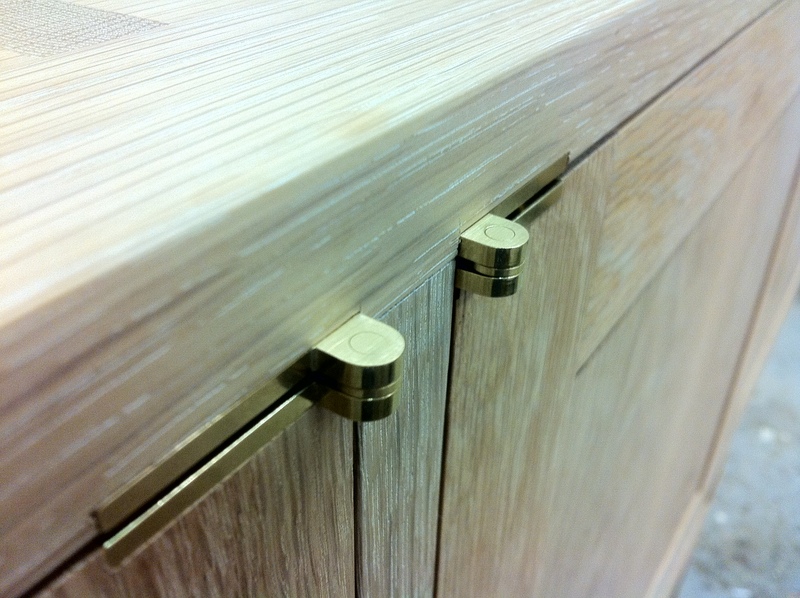 This entry was posted in Cabinetry, Collaborations, Favourite images, Handtools. Bookmark the permalink.